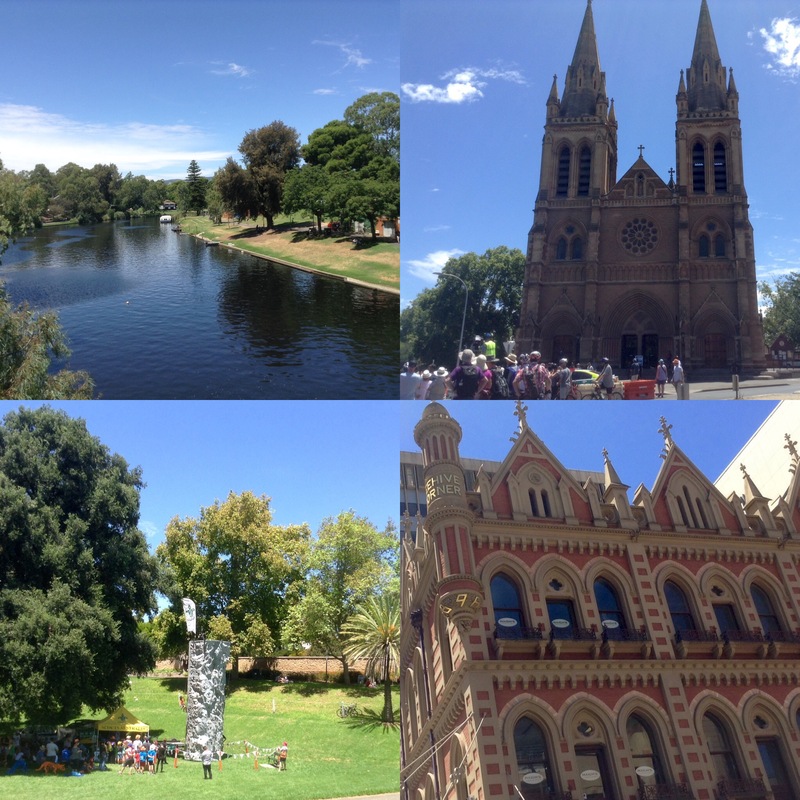 After a very pleasant 10-day stay in Adelaide, I totally understand why it ranks as such a desirable place to live. With a population of around 1.5m, it has leafy suburbs, plenty of open green spaces, beaches nearby, an abundance of excellent sporting facilities, architecture spanning the ages since the town’s inception – many built from honey coloured stone with gingerbread trimmed verandas – lively arts scene and plenty of excellent restaurants all serving vegan/vegetarian options. 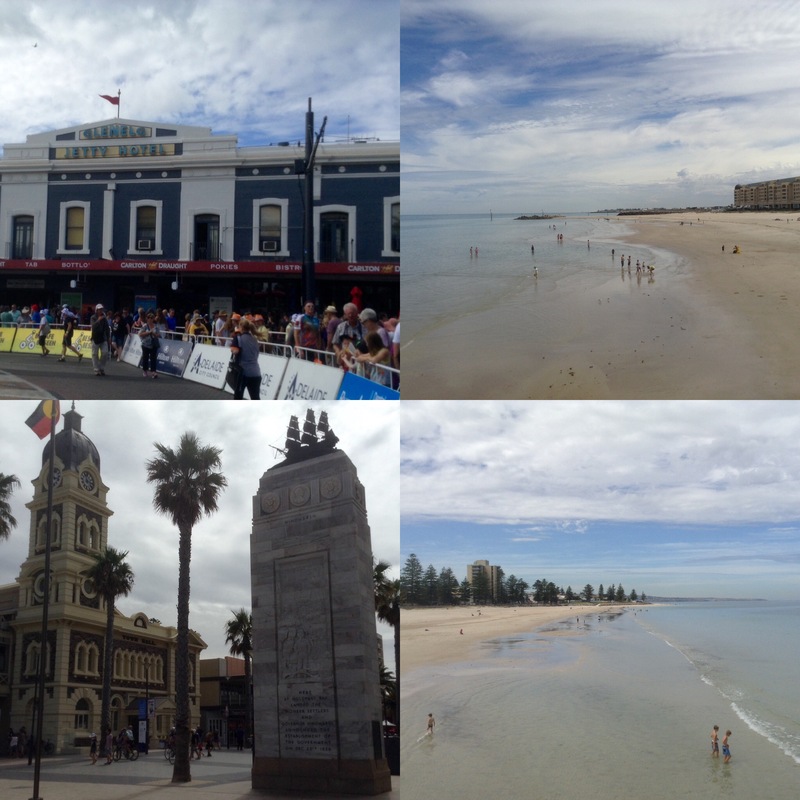 We organised our stay in Adelaide around the first race of the WorldTour season, the Santos Tour Down Under, whose organisation is based in Adelaide. The riders stay in the one hotel for the duration and the longest transfer from any stage finish is just 90 minutes, though the riders can and do ride to and from most of the stages. The event showcases the region from the Barossa Valley, the Adelaide Hills, Fleurieu Way, to the Shiraz Trail and the coast. 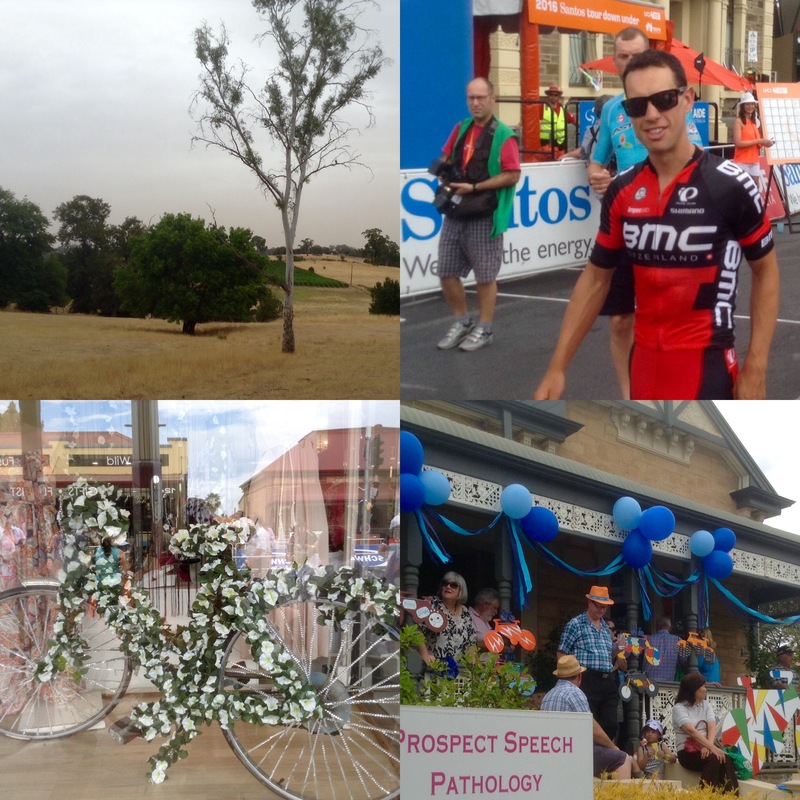 It’s held during the Aussie summer holidays and the organisers slot the racing into a magnificent Festival of Cycling for recreational cyclists and their families. 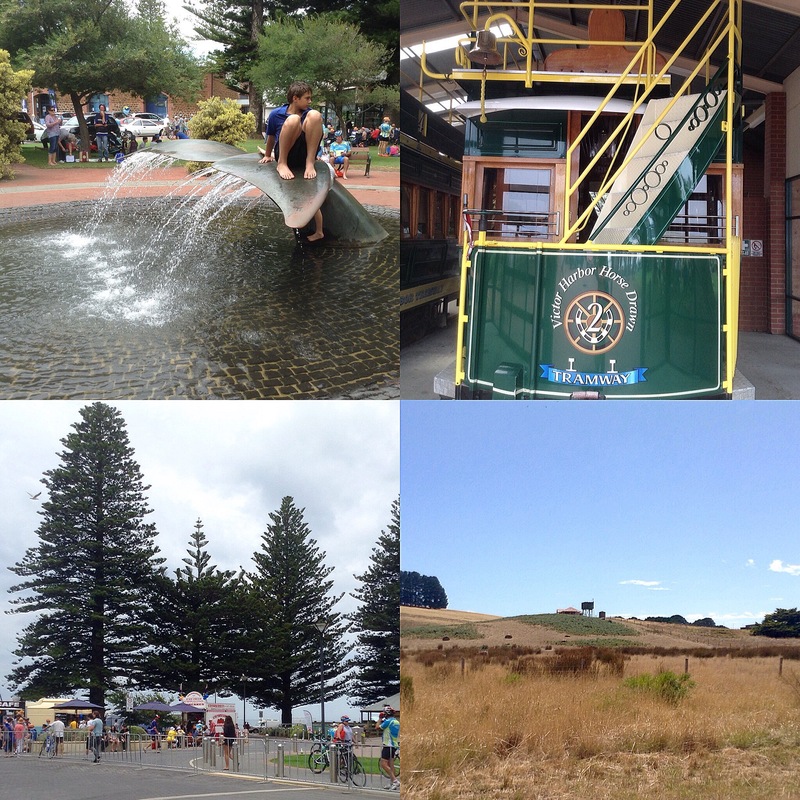 Participation and inclusion is the name of the game and anyone in Australia who’s a cycling fan heads here. At least 50% of the spectators ride to watch part of the stage. We did too once the temperatures had dropped below 40C! Fortunately the climate is dry rather than humid. The countryside is spectacular with vineyards, olive and fruit trees covering acres of undulating yellow ochre terrain. There’s plenty of small towns with family bakeries and restaurants offering great local produce. 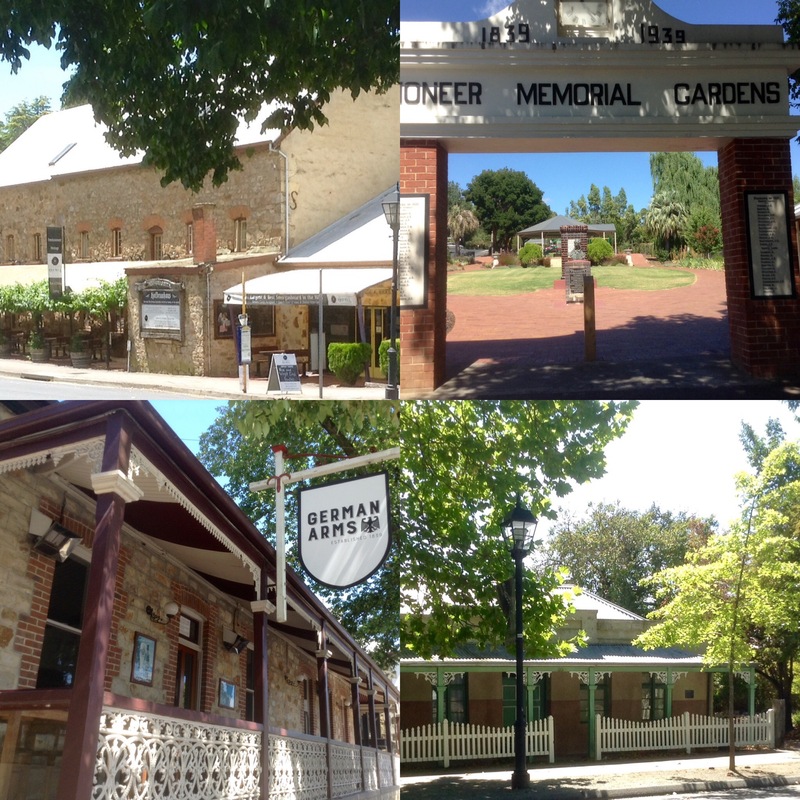 While places like Hahndorf have a decidedly Germanic feel, many of the others make you feel as if you’ve stepped back in time to UK of the 1960s, though not the restaurants. My beloved was delighted to revive childhood memories with a fragrant and delicate custard tart and a steak pie, with a mouth-watering rich filling encased in light pastry. I can’t say it was just like his mother used to make him as she’s always been a dreadful cook but it was probably closer to my mother’s or grandmother’s cooking – wholesome, regional and seasonal. 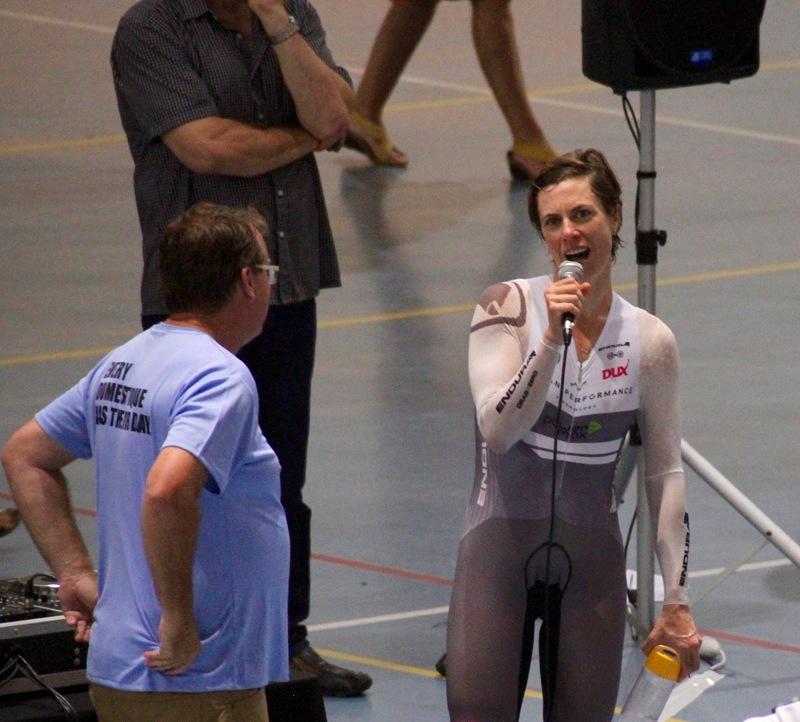 Aside from the road racing, we were also privileged to watch former professional cyclist, Dr Bridie O’Donnell break the Women’s UCI World Record. Remarkable given that it wasn’t undertaken at altitude and Bridie doesn’t have a background on the track. It was such a special moment to watch history being created. We also went to watch the semi-final Big Bash between Adelaide Strikers and Sydney Thunder. I love live sport and while I would never claim to be a cricket fan, 20/20 is dynamic, fast paced and exciting. The tickets are inexpensive and everything is done to encourage families to visit. The victors, Sydney Thunder, went on to win the final which we watched in our local. We were staying in an area with plenty of great restaurants but one really stood out. A massive pub with a music venue, gaming room and upscale restaurant attached. It was justifiably a veritable goldmine which perfectly catered for the local population’s demographics – empty nesters and young professionals. While we were on target in the restaurant, we definitely upped the average age in the bar. While Adelaide has a multi-racial population, there’s many Brits who’ve relocated there for a better lifestyle and I can now understand why. 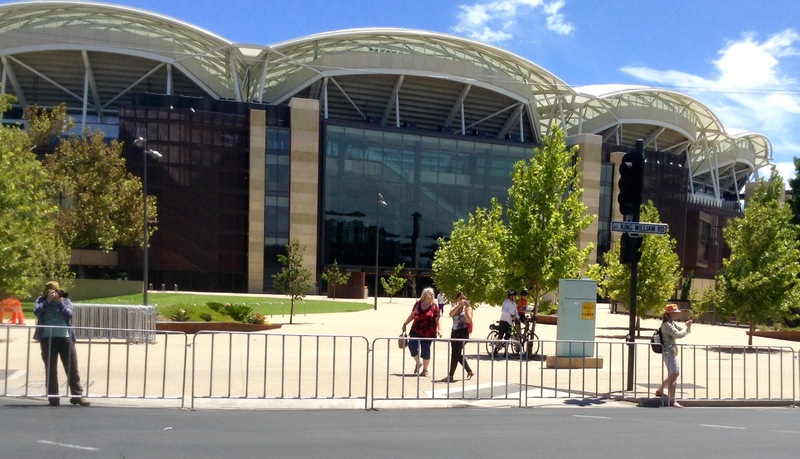 It might have been my maiden visit to Adelaide but I’ve a feeling it won’t be my last.